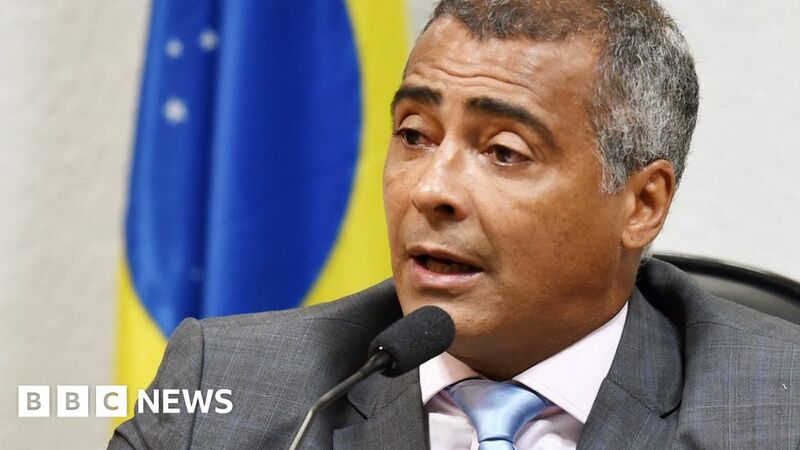 The Brazilian senator and former football star Romario de Souza is to run for election as governor of Rio de Janeiro in October. The state has been racked by violence and is on the verge of bankruptcy. The 1994 World Cup winner - known simply as Romario - says his campaign will focus on tackling those problems. He will stand as a candidate for the centrist Podemos party. He has been praised as a senator for his battle against corruption in football. "In these chaotic times, change is necessary, change is urgent. Rio always had safety problems, but never like now," the 52-year-old said on Saturday while announcing his candidacy. "I don`t have experience of being in charge. It will be, God willing, the first time that I`ve had the opportunity to demonstrate all I have learned in my life.
" The former Barcelona footballer is currently under investigation for allegedly concealing assets to avoid paying debts, Brazilian media report.